Previously housed at Shell-Mex House, The Shell Heritage Art Collection moved to the world-famous National Motor Museum in Beaulieu in 1993. To celebrate this 25th anniversary and in keeping with the traditional commissioning process that Shell began almost 100 years ago, an emerging artist has been selected to have their first professional commission and their work displayed in the National Motor Museum alongside some of Britain’s great 20th century artists. 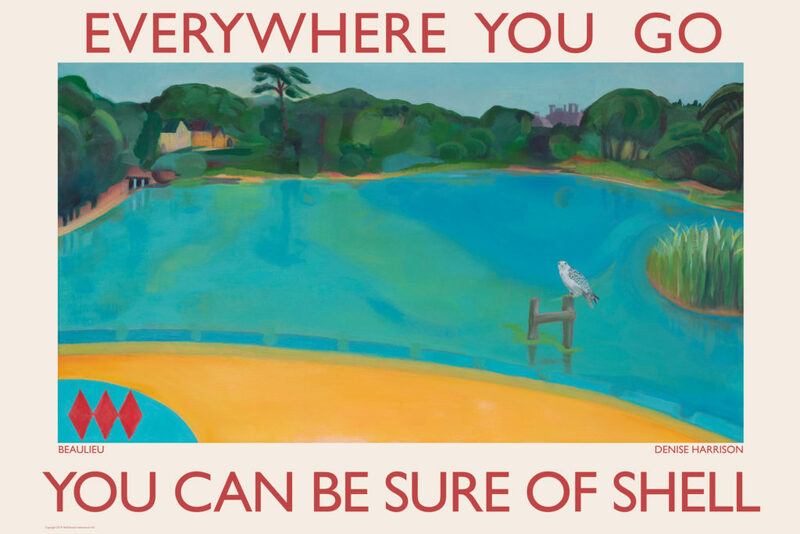 Wimbledon College of Art MA Painting student Denise Harrison, was awarded the comission to produce the poster in the enduring Shell advertising theme of ‘Everywhere You Go – You Can be Sure of Shell’. The artist was selected by a judging panel from Shell Brands International, the National Motor Museum Trust and Lord Montagu of Beaulieu. 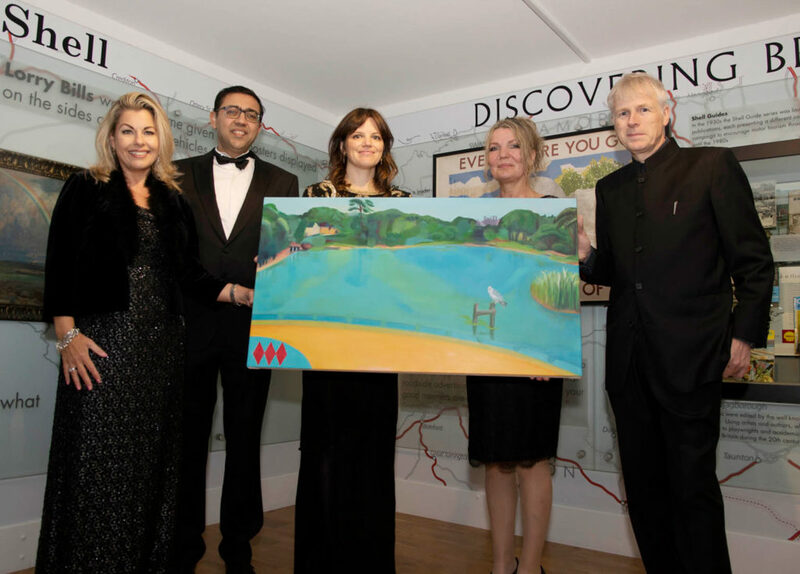 In October the judges attended the launch of the painting and poster at the 2018 Beaulieu One Hundred annual dinner. One of the posters from the limited edition of twenty five lithograph prints, reproduced by Curwen Studio, was auctioned at the dinner to raise funds for the National Motor Museum Trust. 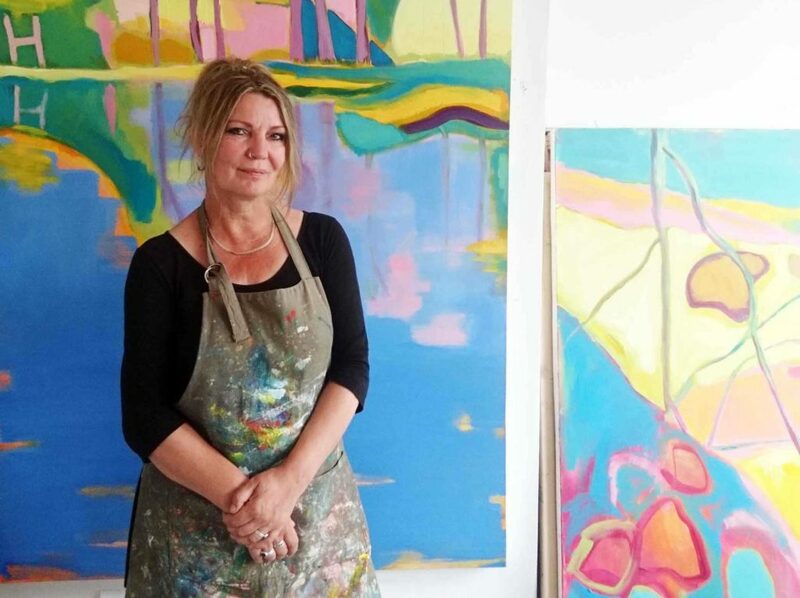 Commissioned Artist Denise Harrison in her studio, 2018. You can see more of Denise Harrison’s art work on her website. 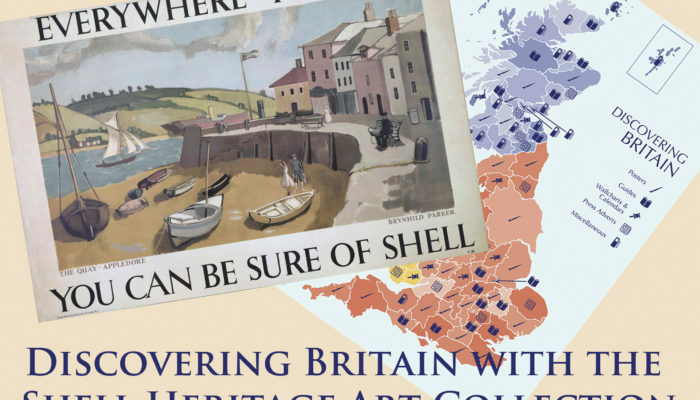 Shell’s iconic poster advertising featuring the British landscape began in the 1920s, with the strapline ‘See Britain First – on Shell’. ‘Everywhere You Go’ was an extension of this campaign and lasted for over 20 years. The advertising encouraged a newly mobile public to explore the British countryside in their cars using Shell petrol. 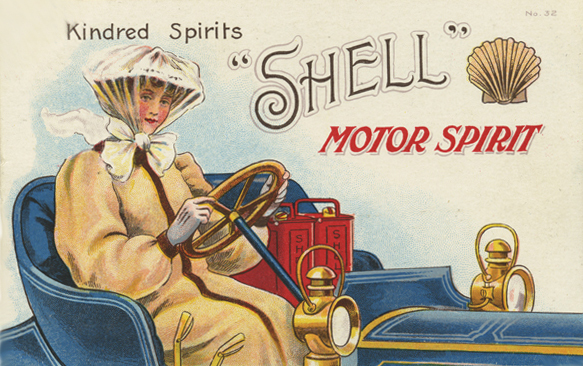 In the 1930s Shell’s publicity established the company as a leader in advertising. Shell commissioned young talented artists that went on to become important figures in the development of modern British art and design. Many artist’s such as Graham Sutherland and Leonard Rosoman produced their first professional commission for Shell, which helped launch their careers. 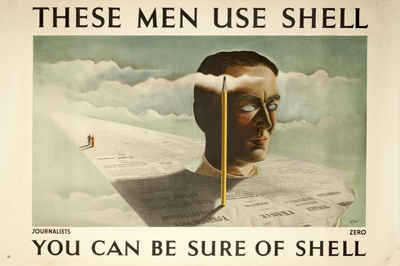 Other artist’s not instinctively associated with commercial art were also commissioned for Shell’s poster advertising such as Paul Nash, John Piper, Vanessa Bell and Ben Nicholson. 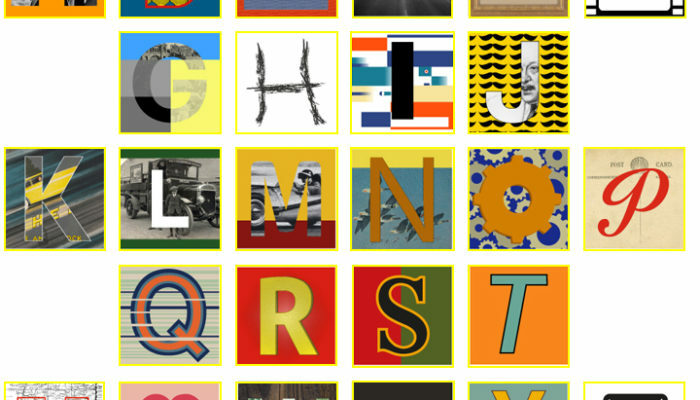 Examples of Shell posters can be seen on our Explore the Poster Collection page.